In Sunday's Washington Post, school leaders Joel Klein (New York City Department of Education), Michelle Rhee (District of Columbia Public Schools), Peter Gorman (Charlotte-Mecklenburg Schools) and others write an opinion piece: How to fix our schools: A manifesto. It outlines realities, challenges and opportunities in public education in the United States. Schools and K-12 education make a good topic for classroom discussion, research and analysis. 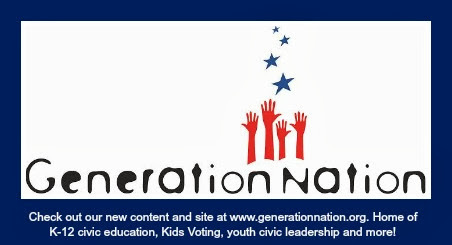 Use it to highlight different roles of government, the roles of citizens and leaders, the implications of policies and decisions and connections to local, national and global issues. That's civic literacy! Who oversees Charlotte-Mecklenburg Schools? The elected Board of Education and the Superintendent, the professional the school board hires to lead the district. Where does CMS get funding? From Mecklenburg County, the State of North Carolina (with the Department of Public Instruction and State Board of Education, who create policies impacting schools in NC), the US Department of Education, and others. The City of Charlotte plays no role in CMS funding or management. What are the key differences in how public education is funded and policies are developed in Charlotte, New York City and Washington, DC? Now connect it globally. Do other countries have public education? How is it organized, governed and funded? Are there similarities with US public education and CMS? Differences? Why? Now, look at how citizens are involved in public education. This is a good opportunity to practice writing and effective communication. Role-play as the head of the school district, a school board member, an elected official of another government in the community, a student, a parent or a teacher. How do citizens make their voices heard at CMS? In NYC Schools? In other cities? Are there places where students are involved in governance? Parents? Teachers? Where do you get news about the school board and school district decisions? If you live in Charlotte and talk with the mayor about CMS, what can he do? How is that different in New York City or DC? If you have a issue to discuss, does it matter who you tell it to? Why? Playing the different roles listed above, what do you think about the Washington Post piece? Do you agree with the authors? Do you have other ideas? What are they, and how do you make your voice heard?